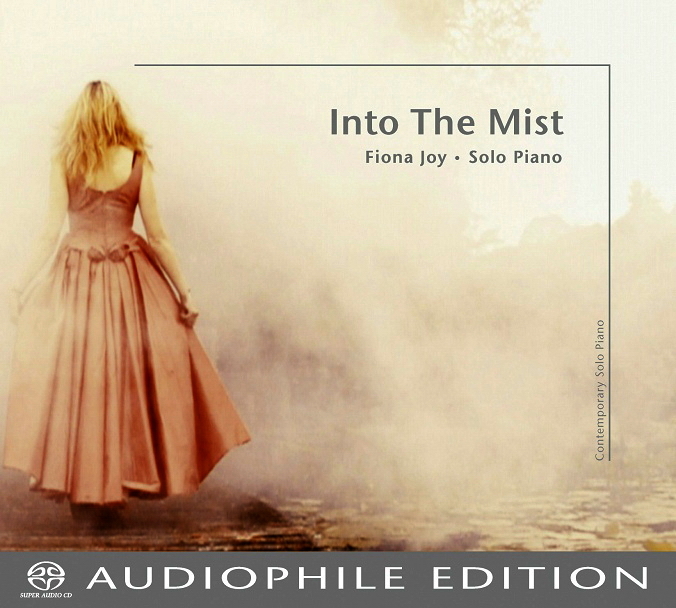 Australian Pianist, Producer & Singer Fiona Joy is enjoying the success of her recent release Signature Synchronicity, has just returned from her third grand tour of China, recorded a new album in the US, and a feature concert with her Blue Dream Ensemble at the Joan Sutherland Performing Arts Centre (Sydney) -as well as performing in the Sydney Women's International Jazz Festival . 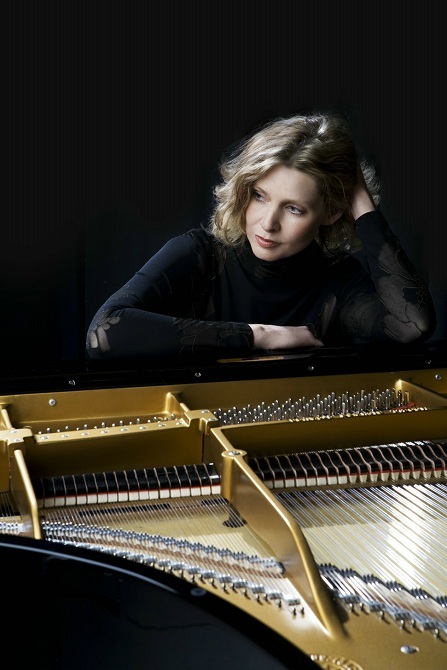 In China Fiona Joy is nick-named The Piano Angel, not just for her romantic, melodic songs and lush arrangements, but also for her gracious and mesmerizingly ballet-like performance style in concert. It’s a style that will serve her new album well, considering it is inspired by modern-day fairytales. A prolific composer, she has always been interested in creating music that evokes images, emotions and stories. 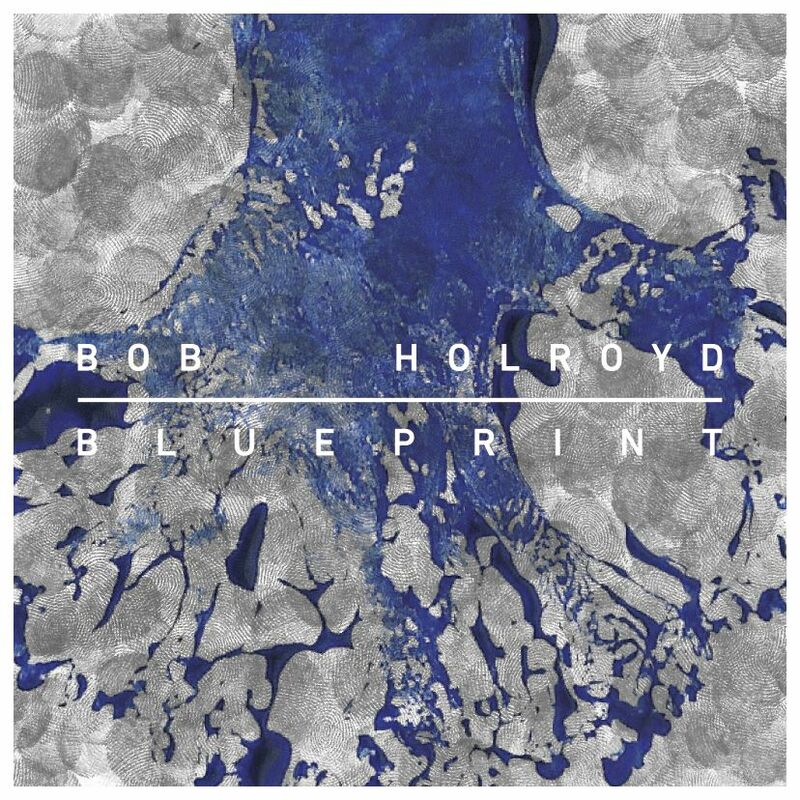 Ambient, world fusion, experimental, chillout, electronica; these are just some of the genres Bob Holroyd’s music has been described as. But not wanting to be categorised, he has long pioneered music that crosses musical and cultural boundaries. Spiced with world influences, his music touches all corners of the globe and he has worked with such a diverse range of artists that his music knows no boundaries and becomes almost impossible to describe. Almost. Just think Brian Eno meets Groove Armada round at Mory Kante’s Buddha Bar, having cocoa down in Acapulco… and you’re nearly there. 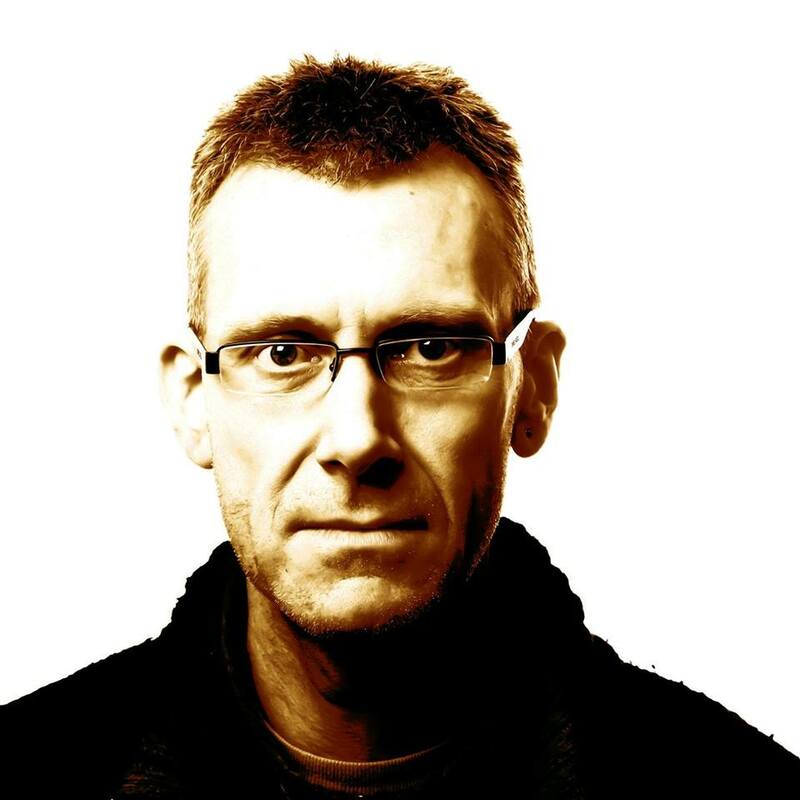 To date, he has released five critically-acclaimed studio albums and three remix albums, including remixes by Nitin Sawhney, Coldcut, Mogwai, Lemonde and The Album Leaf. His music appears on over 50 compilations and has also featured extensively on TV and films, including Lost, The Sopranos, Friends, The Secret Millionaire, Panorama, Coast, Horizon, The Nutty Professor, My Best Friend's Wedding and the Ace Ventura films. Other projects he has been involved with include recording the Islamic Call to Prayer inside the Regent's Park mosque in London. Yusuf Islam (formerly Cat Stevens), sang the Holy text and Bob composed a track around this haunting vocal. 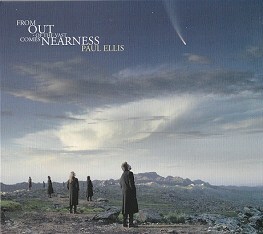 From an early age Paul Ellis began showing a strong creative streak that turned exclusively towards music after hearing several classic European Electronic albums within a week’s time, which proved to be a profound awakening for him; this was the first time music had affected him so deeply. Although the inspiration was great, Synthesizers were very expensive then, and using them to create seemed too far out of reach at the time. Paul began studying Classical, Ragtime, Jazz and Folk music, later playing bass and guitar in a few rock bands, but always dreaming of recreating that sound he heard in his head that was so uniquely tied to synthesizers. In the mid eighties he bought his first few synths, added multi tracking, and from that point on has found his perfect expression in the world of animating electronic kaleidoscopic music where the morphing tone colors are as important as the melody, harmony and rhythm. 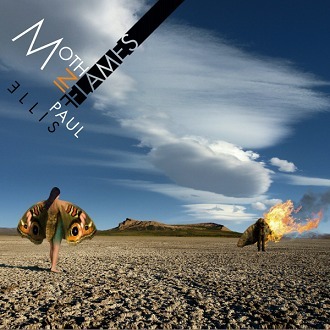 Paul continues to release albums in a style that blends French Impressionism, German Electronic and American Minimalism, forging his own unique touch in the genre. 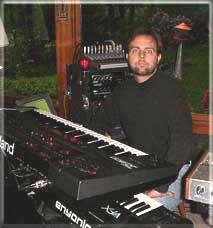 Paul was a founding member of the synth band Dweller at the Threshold and has also released several solo works and collaborations with artists such as Steve Roach, Craig Padilla, Rudy Adrian, Nemesis, Ron Boots and Otso Pakarinen. Tom Green first appeared on stage with cult post-punk outfit DUM DUM DUM in 1979, then performed with various artists, including African guitar luminary Abdul Tee Jay, during the 1980s, while also working with early computer music systems. These home-based experiments led directly into working (with many others) on ‘Dr’ Alex Paterson‘s seminal downtempo album of the early ‘90s, THE ORB ’s “Adventures Beyond The Ultraworld”. 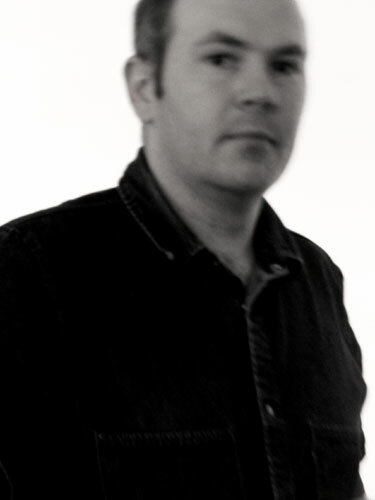 Tom went on to contribute tunes, beats, and various odd noises to a further four albums by the group, including the No 1 album “UF ORB”. 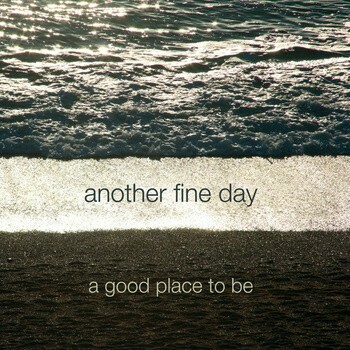 Fans of ambient music voted the first AFD album LIFE BEFORE LAND to No 3 in THE INDEPENDENT’s chart of ‘Greatest Ambient Albums’, and a second AFD album SALVAGE was released on the San Francisco label Six Degrees in 2000, the EP CHASING TORNADOS in 2004. Commissions followed, notably MUSIC FOR MRI SCANNERS, for installation in a new MRI scanner complex in the Royal Infirmary, Bristol, UK. Tom has continued to compose music for the media via his music production company APOLLO MUSIC, his TV clients including the BBC, Channel 4, and RTE, and he contributes tracks to quality music libraries on Universal Music, EMI Production Music, and Accorder Music. 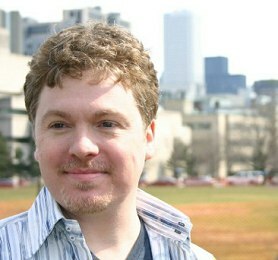 2007 brought him his first full length feature score, the comedy horror ‘BOTCHED’ – winner of 2 awards at the NYC Horror Film Festival in 2007. The album Erebus & Terror (with David Bickley) was recently featured on the soundtrack of the short film ‘DYLAN’S ROOM’, long listed for a BAFTA and winner of 7 awards. His most recent score is for ‘Magnetism’, co-directed by Curzon CEO Philip Knatchbull and due for release shortly. He has been composing and performing music for films, theater, ballets and exhibitions. As well as composing for strings, woodwinds and larger orchestras. As a guitarist he has been leading his own groups, playing at clubs, concert halls and festivals in Europe , the USA and Canada. During the last decades, he has produced solo albums at his own "Wintergarden Studio". 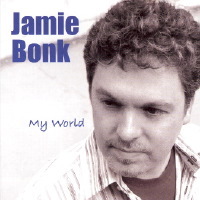 His music has been released on CD worldwide since 1985. His music has been very well received, and he has found himself a large audience with many listeners all over the world. He creates music that is both lyrical and rhythmical with emphasizing melodic and structural formations. With his diverse musical background, he successfully integrates elements of pop, rock and classical, as well as ethnic and electronic ambient music styles. 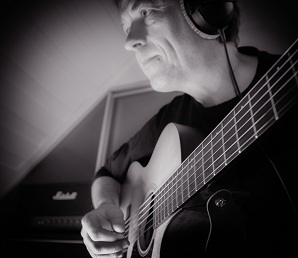 He is a highly respected guitarist, and this synthesis shows on his albums as he mixes of technology sounds with the acoustics gathered from the environment. His music reflects the musical currents of our time while offering the listener a highly original and exciting sonic experience. 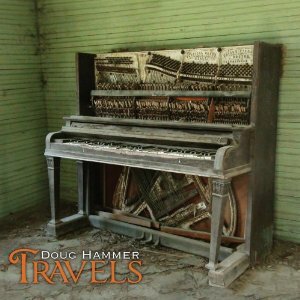 Doug Hammer is a highly sought-after musician, composer, producer, arranger, and engineer. Music has always played an important role in Doug's life, as he was called to it at a very early age. He showed musical interest at age three and began piano lessons at the age of six. He had some wonderful teachers in contemporary, jazz and classical styles of music. He began composing songs while in high school and then went to Berklee College of Music in Boston on a partial scholarship to study songwriting, commercial arranging, and jazz. He helped put himself through school by doing solo piano gigs at local bars, restaurants, hotels and Boston's Faneuil Hall. Because of his composing skills, he gained a lot of studio experience at Berklee. Doug has always enjoyed the recording and production process and later decided to open his own project studio and production company, Dreamworld Productions. His company grew and later included his wife Emmanuelle's graphic design talents, which now became Dreamworld Productions and Design. They moved north of Boston and built and opened a larger studio in 2000 which includes a Schimmel concert grand piano. Doug has worked on a variety of projects including albums, jingles, soundtracks foor film, TV, and radio, and music for corporate events. He has produced countless local artists in many different styles, including cabaret, pop, rock, folk, jazz, R & B, African, and classical. 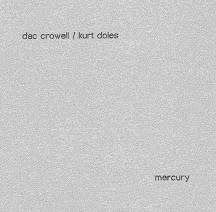 At the end of 2007, Doug released his debut solo piano album, Solace. He then released Baby Music 1 and Baby Music 2 which are 78 minute solo piano improvisations created for the births of his two sons. 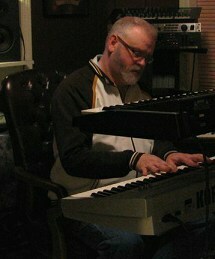 In 2008 Doug released Noel, a solo piano Christmas album which includes original arrangements to many Christmas standards, as well as a new original Christmas song. 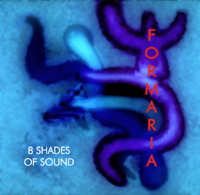 In 2010 he released 75 Labels, a Guatemalan film score featuring marimba and accordion. In 2011 he has just released Travels, a double album featuring 39 new original piano compositions. Personal and intimate, it tells a story of past, present, and future, of places seen and places only in dreams. Doug's music has been getting internet, satellite and radio airplay all over the world, including Spain, The Netherlands, Canada, and all over the US. His sheet music is popular with pianists as well. Doug's music has been featured regularly on Soundscapes, a Music Choice channel and Pandora. He is also featured on Whisperings Solo Piano Radio. From an early age Paul Ellis began showing a strong creative streak that began with drawing and painting, writing, sculpture but this turned exclusively towards music in 1977 after buying copies of the classic European Electronic albums: Stratosfear (TD) , Mirage (KS) , Oxygene (JMJ) and Snowflakes are Dancing (IT) within a week's time. This proved to be a profound awakening for him. He suddenly began hearing a sort of music rising up within himself almost like resonant strings vibrating. The music though extraordinarily different than anything he'd heard before or thought of as music, but also found that he was familiar to it in the sense of it's connection to deep listening. While he had loved music from the earliest age and had all kinds of normal reactions to the music he grew up with this was the first time music had affected him so deeply. Being able to express that sound with synthesizers seemed too far out of reach at the time as synths were very expensive then. Paul began studying Classical, Ragtime, Jazz and Folk music later playing bass and guitar in a few rock band but always dreaming of recreating that sound he heard in his head that was so uniquely tied to synthesizers. In the mid eighties he bought his first few synths, then added multitracking and from that point on has found his perfect expression in the world of animating electronic kaliedoscopic music where the morphing tone colors are as important as the melody, harmony and rhythm. 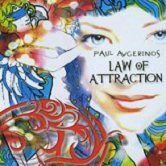 Paul continues to release albums in a style that blends French Impressionism, German Electronic and American Minimalism, forging his own unique touch in the genre. 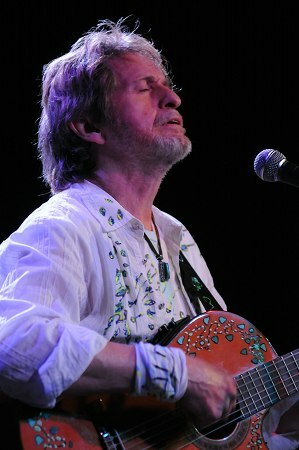 Jon Anderson is undoubtedly one of the most recognizable voices in progressive rock as the lead vocalist and creative force behind Yes. Anderson was the author and a major creative influence behind the series of epics produced by Yes and his role in creating such complex pieces as "Close to the Edge", "Awaken", and especially "The Gates of Delirium" was central to the band's success. Additionally, Anderson co-authored the group's biggest hits, including "I've Seen All Good People," Roundabout," and "Owner Of A Lonely Heart." 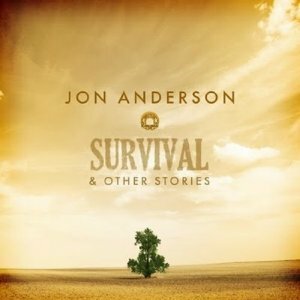 Jon was born John Roy Anderson in Accrington, Lancashire, England, to Albert and Kathleen Anderson, who were of Irish ancestry. Anderson dropped the "h" from his first name in 1970. 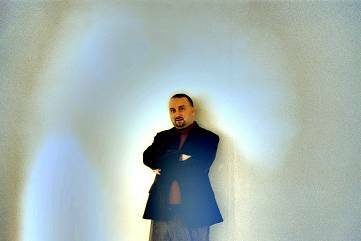 Paul Avgerinos is a Grammy nominated Composer and Producer whose music is broadcast all over the world. 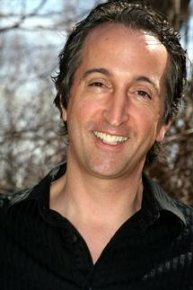 He has worked on over One Hundred film and TV projects . Paul has been involved in a number of Platinum album productions and has collaborated with Aerosmith, Jewel, Run DMC, Willie Nelson & Deana Carter . 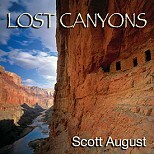 Native American Music Award winner, and three time nominee, Scott August is a nationally acclaimed composer, producer, keyboardist and Native American flute player know for his forays into World Music. His music has been featured on the nationally syndicated radio shows “Hearts of Space” and “Echoes” as well as receiving airplay on the the digital networks XM, Sirius and DirecTV. One of the nation’s most influential Native American flute players, August was a headline performer at the 2006 and 2007 Zion Canyon Flute Festival and the 2007 Central Coast Flute Festival. 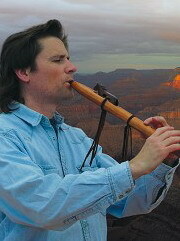 He is known for both his award winning music and knowledge of the Native American flute. In July 2005 he opened for Dr. Wayne Dyer at the International New Age Trade Show and he was a musical guest at the 2005 TED conference. 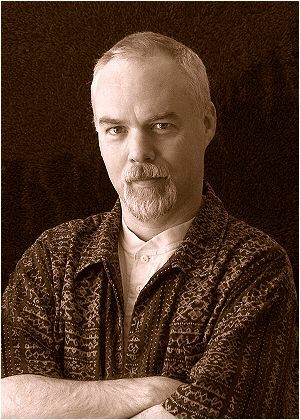 Jim Cole began practicing harmonic overtone singing in 1991, initially inspired by the Harmonic Choir's Hearing Solar Winds. He founded Spectral Voices and then, intrigued by the reverberant cistern recording of Pauline Oliveros' Deep Listening, they found home in an empty water tower. 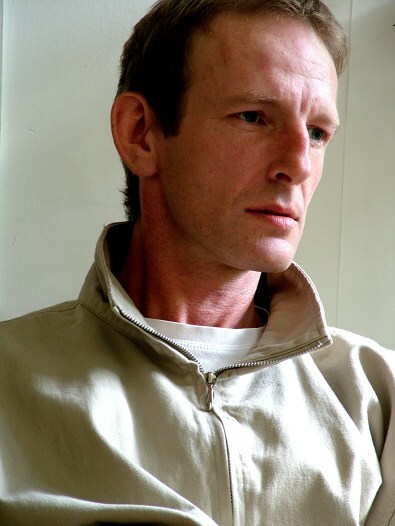 In 1996 he received an artist fellowship award from the Connecticut Commission on the Arts for work in overtone singing, which supported the production and release of Spectral Voices' debut CD Coalescence. Jim has collaborated with Steve Roach, Mathias Grassow, vidnaObmana, Alpha Wave Movement, Mike Hovancsek and Pointless Orchestra, Kevin Makarewicz, Mawwal, Paranoise, and Amir Baghiri. Jim is a member of the group Leland Burr and Expansion Project. His music and singing have been featured on several episodes of the TV program "The Sacred Journey" hosted by Joyce St. Germaine. A self-taught musician, David’s ability to "feel" the music has resulted in two captivating albums that showcase his atmospheric depth as well as his rhythmic sensibility. 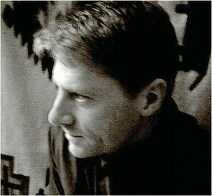 David's debut release, Between Green And Blue, was a finalist for the 1997 INDIE Album-Of-The-Year award, and is already considered a favorite among listeners to this genre. As a recording artist, Jon Jenkins sees it as his responsibility to reach out, grab the listeners by the ears, drag them into another world and show them around a little bit. "I've always been fascinated by the ability of a good piece of music to stimulate the imagination and transport the listener to another place in their mind without ever leaving their chair." Michele is classically trained on piano. 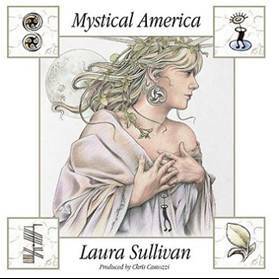 Her music is influenced by classical, new age and contemporary. 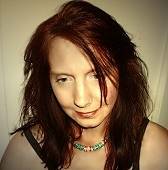 Using various keyboard techniques, she composes full time and works on various studio projects with husband Vince, musician/producer at their commercial studio inDixon Il. 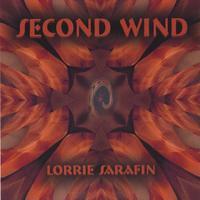 Lorrie Sarafin first heard the haunting sound of the Native American Flute in 1993 and was instantly captivated by its beauty. She bought her first flute in 1996 and took it out into the desert to learn how to play it. An avid hiker, Sarafin is fond of saying that it is the desert that taught her how to play; her teachers being the wind and all things in nature. From the depths of the ocean to the vastness of space are places only select groups of people have had the opportunity to experience. For those who are looking for the feelings of awe and wonder these encounters convey there is the music of Terry Oldfield. Terry’s gifts translate the enormity and complexity of these emotions to the rest of us through beautifully woven melodies. In 2001, Terry moved to Australia and has been busy setting up his new life. Now that he is settled in and has his new studio up and running, he is keen to get back into film music. He has recently completed the score for "The Falcon That Flew with Man" and is currently working on "Project Cobra", music for the pilot to a TV series featuring some of the original "Thunderbirds" team. His most recent CD releases are "Celt" on MG Music and "Yoga Harmony" and "De Profundis | Out of the Depths II" on New Earth Records. Also, recently released on New World Music is a breathtaking DVD "Terry Oldfield's Underwater World". Billboard Charting artist Ryan Farish knows the ‘sky is the limit’ when it comes to his sophomore release “From the Sky” which hit retail shelves June 21st, 2005. Already establishing his name as one of the highest downloaded artists on mp3.com, Ryan raked in close to 2 million downloads by the time his debut “Beautiful” hit shelves. By the end of 2004, “Beautiful” moved on to # 1 on the Music Choice ‘Soundscapes Channel’, broke into the Top 10 Billboard New Age Charts, Echoes.org ‘Top 25 Albums’ monthly chart and “Sunshine in the Rain” was used for Innovative Stone’s documentary on the first granite building block for the new World Trade Center site. (www.innovativestone.com) Currently, his music can be heard just about everywhere on a daily basis. The Weather Channel has been a dedicated fan and programmer of Ryan’s music from day one. Currently 6 songs from the new album “From the Sky” are in rotation on The Weather Channel’s ‘Local on the 8’s’ forecast; as well as the themed intro song on “Storm Stories” which airs nightly. We also have dedicated support from the top satellite & digital cable radio stations including Sirius Satellite Radio and DMX Radio and terrestrial radio programs including Echoes and New World Buzz. 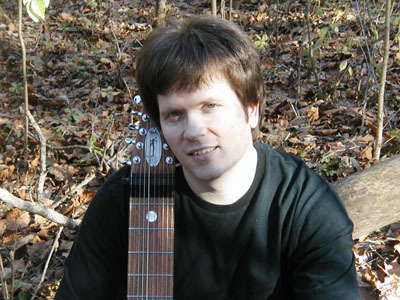 Since his first cd release in 1993, Jeff Pearce has been at the forefront of guitar based ambient music. And over the course of eight solo releases, Jeff has refined his art and his approach to the electric guitar. 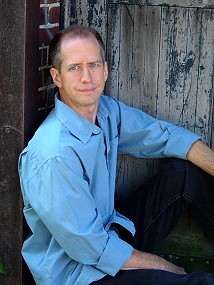 Jeff's music has been featured on such syndicated radio programs as "Echoes" and "Music from the Hearts of Space", as well as numerous regional radio shows. Jeff's music has also been featured in special projects for Mercedez-Benz. Reviews of Jeff Pearce's music have appeared in such magazines as Billboard, Downbeat, Alternative Press, Guitar Player, Tower Pulse! and New Age Voice. 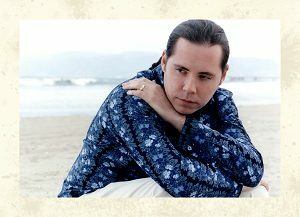 In the year 2000, Jeff's cd "To the Shores of Heaven" was voted the favorite ambient cd of the year by New Age Voice magazine, as well as by the listeners of the "Echoes" radio program. Jeff is an active live performer, having played everything from house concerts to all day festivals. Jeff's 2002 cd "Bleed" was debuted at a Gathering concert in Philadelphia. In early 2004, Jeff scored the soundtrack to the "Luminous Dimensions" DVD by "ambient animator" Michael DuBois. 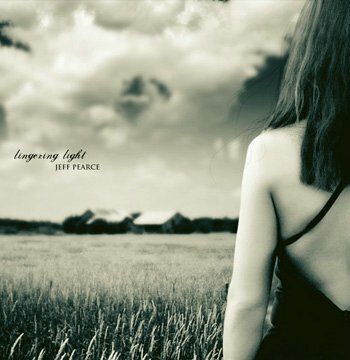 Jeff's most recent cd is "Lingering Light" on the Jeff Pearce Music label. Byron Metcalf is a drummer, percussionist, recording artist, and record producer. 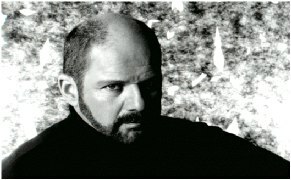 With over 30 years as a professional musician, he has performed on gold and platinum albums in the pop and country fields and in recent years has been experimenting with the use of drums, percussion, and other sounds to induce nonordinary (altered) states of consciousness in both ceremonial and therapeutic contexts. 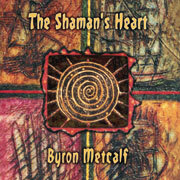 Byron's 1998 CD release HELPERS, GUIDES & ALLIES continues to receive enthusiastic reviews in the shamanic, trance dance, and therapeutic communities, and was rated #4 in Backroads Music's 1998 Best of Year Selections in the World Music category. Byron collaborated with award winning recording artist and sonic innovator Steve Roach on the critically acclaimed 2-disc epic THE SERPENT'S LAIR (Projekt Records, Sept. 2000). NOT WITHOUT RISK was Byron's second solo project. 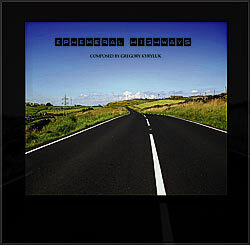 WACHUMA'S WAVE (Spotted Peccary, 2003), a collaboration with German artist Mark Seelig (with Steve Roach), was chosen by Backroads Music as the #1 Release of 2003 in all categories. 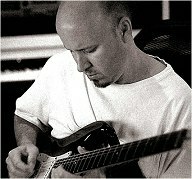 zerO One (aka Kevin Dooley) first came to public attention in 1998 with the release of his first (self-titled) CD on the Waveform label. A student of electronic music since the 70s (Kraftwerk, Tangerine Dream, Jean Michel Jarre, et al), Kevin has been composing and recording various genres of music for over 20 years. In addition to his ongoing solo projects, Kevin has played in several electronic groups, recorded and mastered numerous CDs ranging in style from rock to hip hop and for a short period played the Howitzer cannon with the Kansas City Symphony. The zerO One project marked a significant change in Kevin's musical philosophy. "zerO One was my attempt to strip the music of all but the bare neccessities," reflects the artist. "Up until this time my music had been far more lush and layered. My goal with this music is that each individual part be capable of standing on it own, with no extraneous details left." Kevin continued to develop his new musical approach and, two years later, in 2000, released his second Waveform CD, "protOtype2." 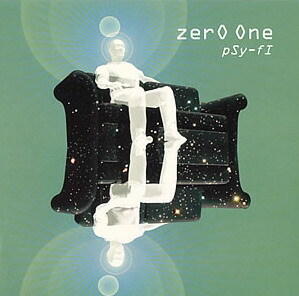 It would be over three years before the release of the third zerO One CD, "psy-fi," on the Spiralight label. Laura grew up on a farm with spectacular views of both Mt. Lassen and Mt Shasta in the Northern California Ishi Wilderness. Raised in a musical family, Laura began learning to play the piano through her mother’s teaching at the age of 4 years old. At age 8 she was composing her first compositions and by the time she was 18 she had composed a body of work, including 6 feature length musicals. 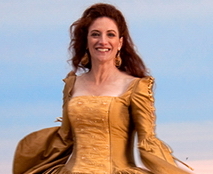 Laura then founded a children’s musical theater company called “Star Company” through which she composed and directed her own shows, receiving rave reviews in local Northern California press. 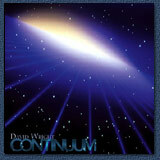 David Wright's music was first brought to public attention in 1989 on release of his first cassette album Reflections. It also drew the attention of Klaus D. Mueller, long time manager of Berlin school legends Klaus Schulze and Manuel Gottsching, whose POEM Musikverlag company published all of David's output to 1994. 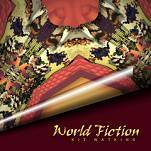 Writing in the magazine 'Dreamsword', Mueller said of 'Reflections' that, "Of all the demos I have received, this was the first and only one I liked and still like". David also found the time for involvement in the album 'Phase One' by Enterphase. Subsequently, the USA duo of Jeff Filbert and Fred Becker joined the AD Music label. This sowed the seeds for the future and the forming of AD Music Ltd. Although all of this would have easily counted as one years output for most people, a second album, Albania - The Korce Project was also released. This was planned as part of a fund raising drive for the impoverished children of Albania. However, circumstances beyond the control of the artist led to the cancellation of the project. GK: A basic need for expression without the limited boundaries of language. I grew up listening to soundtracks which led me to Jean Michel Jarre and early Kitaro whom I saw in the late 1980’s performing live on VH-1. AV: Your latest CD, Ephemeral Highways, was released not too long ago. What was the inspiration for this project and when did you actually start work on it? GK: Inspiration came from listening to early ECM label jazz and early Windham Hill label music. 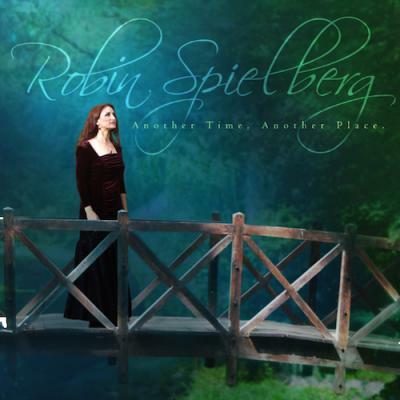 Music from Metheny, Tibbetts, Micus, Rypdal, Ackerman, Isham all these guys used space in their compositions and deeply emotional melodies that transcendent time. None or very little of what any of these guys recorded in the late 1970s and 80s sounds remotely dated. Mark was born in 1957. From early on he has been fascinated by the world's spiritual traditions. His interests have taken him to India, the USA, and Germany. After many years of therapeutic and academic training Mark left the scholarly world behind. 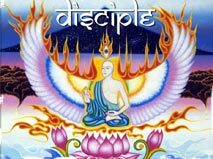 The influence of Asian mysticism and spirituality, along with the musical traditions of India have turned his life around. 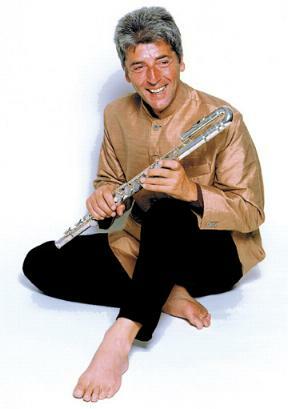 After receiving classical training on the violin from age 8 through 14, followed by guitar playing and singing, his musical focus has shifted again at age 42: During a deep vision quest, Mark felt encouraged to take up the North Indian bamboo flute 'Bansuri' at a rather late age for picking up a new instrument. 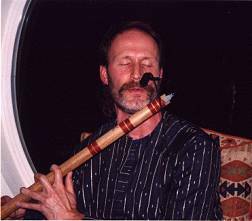 He is now studying with the Indian Bansuri Maestro R.K. Bikramjit Singh. Mark's music and work is offered hoping to make a small contribution to raising consciousness: May we all learn to face our shadows, honor our skills, and live in harmony with each other and the universe. 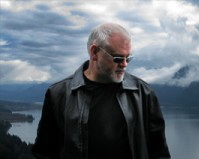 Thom Brennan began his brand of electronic music in the early 1980's. Inspired by the landscapes he lived with in the American Southwest andPacific Northwest, his self produced albums have defined a unique and organic style of soundpainting.... A colorful and private world of harmonic tapestries. In addition to an ongoing series of solo works, collaborations with ambient composer Steve Roach appeared on the 1988 Fortuna release "Western Spaces", and the Projekt compilation "Amplexus". Recordings have been released on Rubicon Records (Canada), Phonogram (France), IC Records (Germany), Amplexus / Arya (Italy), Projekt, Fortuna, Space For Music, AtmoWorks, and his own RainGarden Music. It's no easy feat. Much of what I do still falls into the realm of 'art music', so there's no funding for it in the USA and there's very few venues for performing it here as well. But thanks to labels such as Suilven and Magnatune and the like who feel that this sort of work is important and appealing, I'm able to get my work heard. And with the final bits of learning which I've gotten from studies under the pioneering German composer Karlheinz Stockhausen, I feel even more certain that I'm on the right track. From here ('here' being February of 2004) I'm hoping to have my fully-implemented studio, The Aerodyne Works, completed in a final form within a few months. That's been a long time in coming, too, but there's definitely light at the end of that tunnel. I'm hoping to get back into performing my music more as well, although I know the 'lack of venues problem' is going pose some difficulties there. And I want to get into longer works...deeper, also. 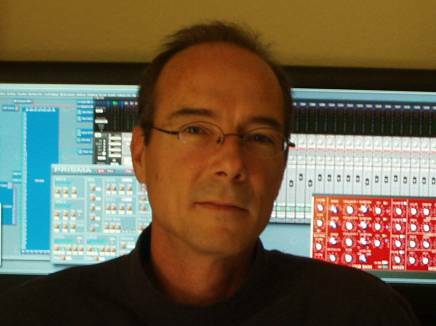 Liquid Mind is the name used by Los Angeles composer and producer Chuck Wild. There are few composers with as much love for slowness in their music as Wild. 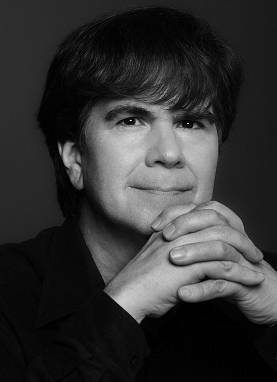 Chuck draws from classical and pop influences as varying as Beethoven and Brian Eno, Bartok and Rachmaninoff, Bach, Chopin and Fauré, Duruflé and Brahms. Early live and studio experience with the Capitol Records’ group “Missing Persons”, and studio work with Frank Zappa, Michael Jackson and many others have helped Chuck to develop high production values. Spending many studio hours over the years with five time Grammy winning engineer Bruce Swedien and famed producer Ken Scott has inspired Chuck to explore unique and subtle gradations of sound and feeling in his music. Under the pseudonym ‘Igneous Flame’, I have released three critically acclaimed ambient albums, ‘Tolmon’ (2003), ‘Intox’ (2003) and ‘OXANA’ (2004). 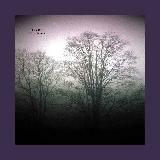 My ambient work was initially influenced primarily by Brian Eno’s ‘Thursday Afternoon’ ‘On Land’ and ‘Apollo’ albums. I also create surround sound soundtracks for gallery installations and have composed soundtracks for short films. I live inNorthern England and I’ve played guitar for 25 years. As part of my studies in Music Technology, I was introduced to electroacoustic music and I started experimenting with the practice of processing recorded sounds, which in turn, started me thinking about applying this way of working to creating ambient music. Some reviewers have referred to the ‘synth sounds’ on my releases, but I actually very rarely use synthesisers for my ambient work. Most of the sounds I create were originally recordings, heavily processed. It is all computer based. I also have a more beat based side project called ‘Formbank’. my music, I'd call it contemporary instrumental. Maybe not the most common or widely used title for a genre, but I think it fits my music best. I draw on new age, jazz, world, pop, classical and just about anything and everything else in my playing and writing.At this point, I've played probably thousands of gigs -- concerts, clubs, in-stores, private events and yes, even weddings. 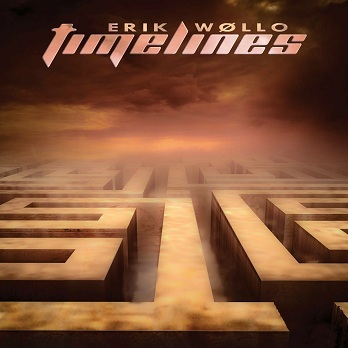 Erik Wøllo has been composing and performing music for films, theatre,ballets and exhibitions as well as composing for strings,woodwinds and larger orchestras. As a guitarist he has beenleading his own groups, playing at clubs, concerthalls andfestivals inScandinavia ,USA andCanada. The last decades he has spent creating his solo albums in his own"Wintergarden Studio". His music has been released worldwideand very well reviewed in music magazines, and his solo albumshave appeared on radiostations in several countries. He creates music that is both lyrical and rhythmical with highsensibility on melodic and structural formations. With his diversemusical background, he successfully integrates elements of jazz,rock and classical, as well as ethnic and electronic ambient music. This synthesis appears on his albums as an ensemble oftechnology and powers of nature. His music reflects the currents, dreams and hopes of our time,offering the listener a highly original and exciting musical experience. Recent projects include Richard's latest rhythmic recording entitled The Reality Temples released June 30, 2004 on the Spiralight label. 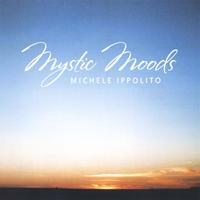 This disc debuted at the #6 position on the New Age Reporter Top 100 chart for August airplay and has been nominated for the 2004 NAR Lifestyle Music Awards' Best Electronic Album. Orlandomaniac Music released Untold Tales on April 15th -- a CD of nineteen previously unheard vocal demo tracks Richard recorded during his early Survival years of 1979 - 85. 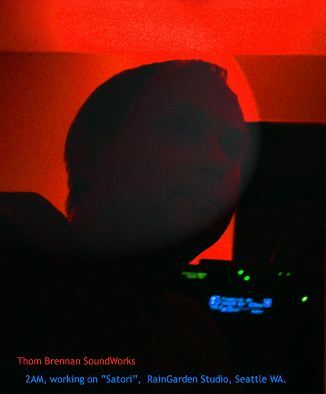 Other 2004 projects included a various artist compilation CD from Spiralight Recordings called Ambienism Vol. 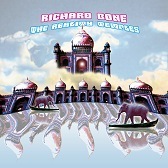 One featuring a new track of Richard's entitled "Stillness Repeating" that was released March 15, 04. Upcoming projects include a new ambient recording entitled "The Serene Life of Microbes" - the follow-up to the 2002 Electroshock release Indium - expected to release mid to late 2005. Rich has performed in caves, cathedrals, planetaria, art galleries and concert halls throughout Europe and North America. His all-night Sleep Concerts, first performed in 1982, became legendary in the San Francisco area. 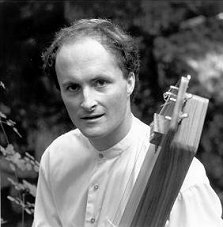 In 1996 he revived his all-night concert format, playing Sleep Concerts for live and radio audiences across the U.S. during a three month tour. 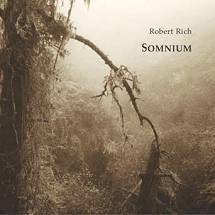 In 2001 Rich released the 7 hour DVD Somnium, a studio distillation of the Sleep Concert experience, possibly the longest continuous piece of music ever released. 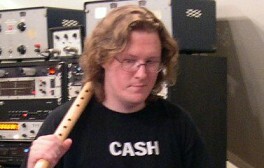 Rich has designed sounds for television and film scores, including the films Pitch Black , Crazy Beautiful, and others. He also works closely with electronic instrument manufacturers, and his sound design has graced the preset libraries of Emu's Proteus 3 and Morpheus, Seer Systems' Reality, sampling disks Things that Go Bump in the Night and ACID Loop Library Liquid Planet. 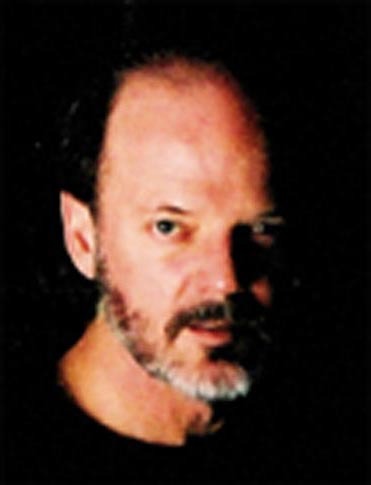 Rich has written software for composers who work in just intonation, and he helped develop the MIDI microtuning specification, which was accepted as an industry standard. As a mastering engineer, he has applied his ear to numerous albums in recent years, and his studio was featured in the September '99 issue of Keyboard Magazine.